The Columbia Plateau is the largest ecoregion in Washington and occupies nearly one-third of the state. It is dominated by the Columbia River and its tributaries and bordered by the Cascade Range and the Rocky and Blue mountains. 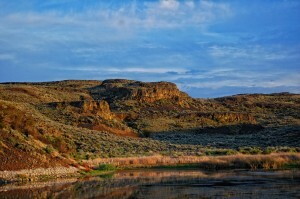 It is a landscape of glacial deposits, coulees, channeled scablands, and rolling areas of deep soil. The semi-arid climate supports native shrubsteppe vegetation as well as other drought-tolerant plant communities. The impact of human activity is high: more than half of the shrubsteppe has been converted to agriculture. This imprint of development and agriculture is reflected in the substantial number of Washington’s Species of Greatest Conservation Need found here. 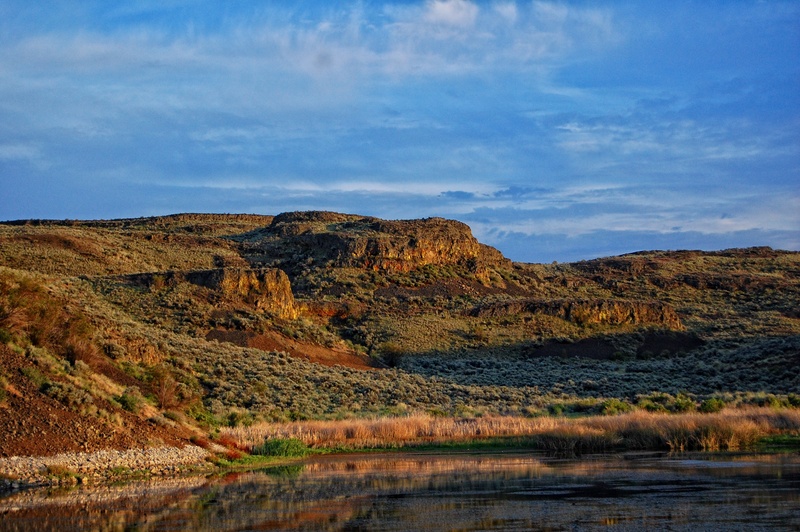 The Washington Connected Landscapes Project: Statewide Analysis (2010) highlighted the Columbia Plateau as an ecoregion where native vegetation communities are severely fragmented, limiting movement potential for wildlife. Future changes in land use practices, human population growth, and potential effects of a changing climate underscore the need for a well-connected landscape—one that allows for continued and future movement of wildlife throughout the Columbia Plateau. This led us to focus on a series of more detailed connectivity analyses of this ecoregion that bridge the broad connectivity patterns we observed in the statewide analysis, to the local scale and project-level conservation efforts. These analyses are provided through the links below. This work was made possible through the tremendous dedication of time and talent from individuals with expertise on this landscape and species within it, and with the financial support of the following: 444S Foundation, Great Northern Landscape Conservation Cooperative, Northwest Wildlife Conservation Initiative made possible by the Doris Duke Charitable Foundation, United States Fish and Wildlife Service (State Wildlife Grants), Wilburforce Foundation, and Wildlife Conservation Society through its Wildlife Action Opportunities Fund made possible by the Doris Duke Charitable Foundation. All of our habitat connectivity products have been integrated into the landscape conservation design efforts conducted by the collaborative Arid Lands Initiative.